Editor’s Note: Woo Daves of Spring Grove, Virginia, started tournament bass fishing in 1973 and has been active in that for more than four decades. “I’ve been fishing, since I was old enough to walk,” Daves explains. 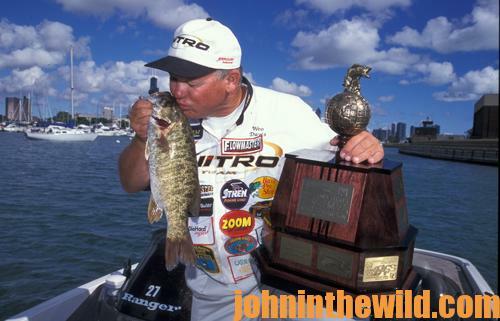 He’s qualified for two FLW Championships (https://www.flwfishing.com), and won the World Bass Fishing Championship and the Bassmaster Classic (https://www.bassmaster.com/tournaments/) in 2000. He’s qualified for 20 different world championships and says, “My success in bass fishing isn’t too bad for an ole country boy.” Let’s look at how Daves catches bass on a bad day. Bass fishermen are strange people. If there’s a bass tournament, and the launch site is at the dam, as soon as the fishermen get their boats in the water, they’ll run all the way to the other end of the lake away from the dam. If the launch site is at the lower end of the lake, as soon as the fishermen put their boats in the water there, they’ll run all the way up to the dam to start fishing. Bass fishermen are like that anywhere you fish. I’ve watched this phenomenon for 40 years, and it hasn’t changed. To be effective, most bass fishermen believe they need a big bass boat with a big outboard on it. But the truth of the matter is that you can take a little john boat like a Tracker aluminum boat (http://www.trackerboats.com/) and start fishing right where you’ve put in your boat. 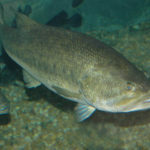 More than likely, you’ll catch as many, if not more, bass than the anglers running up and down the lake in their boats. 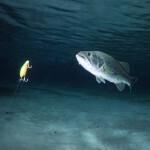 The real secret to catching bass is keeping a lure in the water as much as possible. The number- two secret is the less time you spend burning gas and running up and down the lake, the more bass you will catch. 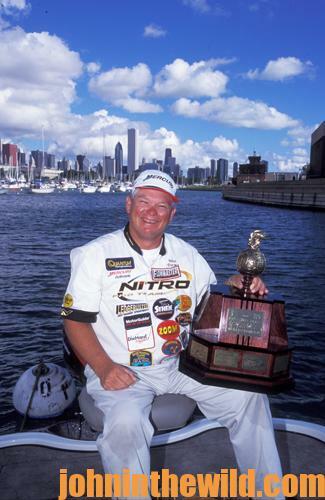 My friend, George Cochran won the Bassmaster Classic in Kentucky by fishing right by the boat ramp. George probably didn’t burn 1/2-gallon of gas in 3 days of fishing. Rick Clunn won one of the Bassmaster Classics in Arkansas fishing less than 2 minutes from the boat ramp. When we started fishing out of that small boat on Buggs Island, the weather was about 70 degrees in February. By 10:00 am, we only had caught one, 10-inch bass. My buddy said, “If we had a big motor, we could fish several different places and catch more bass.” We took a break in the middle of the day. We got out of the boat, walked around a little bit and ate our sandwiches. Within 30 minutes, snow started falling. My buddy got in the boat while it was still lodged against the bank, walked to the back of the boat, cast a Speed Shad (http://www.basspro.com/shop/en/bass-pro-shops-speed-shad) across the cove and landed an 8 pounder. We got in the boat and started fishing around the cove where we had pulled the boat up on the bank. We caught eight bass that weighed about 40 pounds – a huge stringer for Buggs Island. 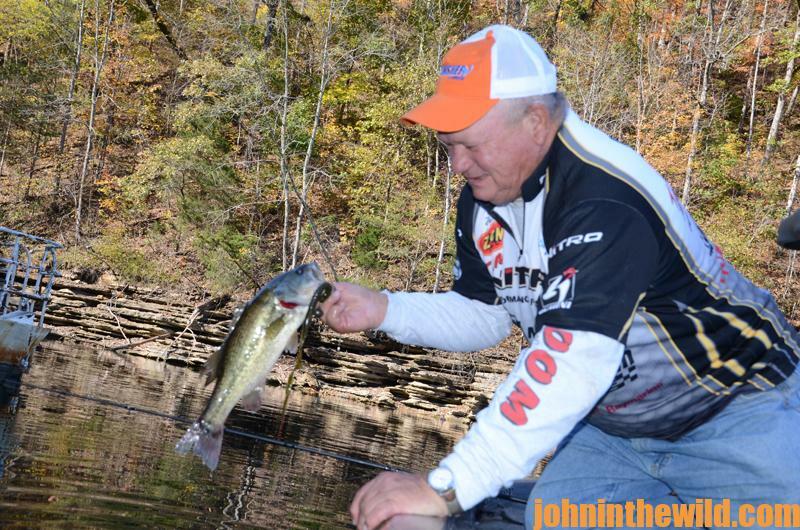 If you asked almost any bass fisherman, “What’s the biggest bass you’ve ever caught?” the majority of them will say a 6, 7, 8 or 9-pound bass that they’ve caught while fishing in a john boat. So, one of the biggest secrets on how to catch bass on a bad day, especially when you have equipment failure is to just keep fishing, slow down your fishing and fish every piece of cover that you can see. Don’t ever allow equipment failure to cause you to stop fishing. Now, I can fish as fast as anybody. 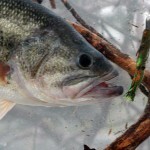 On days when fish are biting, fishing fast will catch a lot of bass. 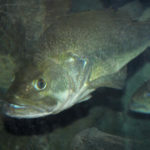 But on bad days when fish don’t want to bite, turn your boat around, go back to the place you’ve fished fast, and fish slowly with light line and small lures. You may catch a whole lot of bass then. 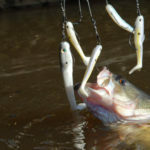 My number-one bait for fishing slow is a Zoom Trick Worm (https://zoombait.com/trick-worm/), and my number-two is a shaky head worm. If the lake has a lot of smallmouth or spotted bass, I’ll fish the Zoom Speed Craw, which resembles a small crawfish. 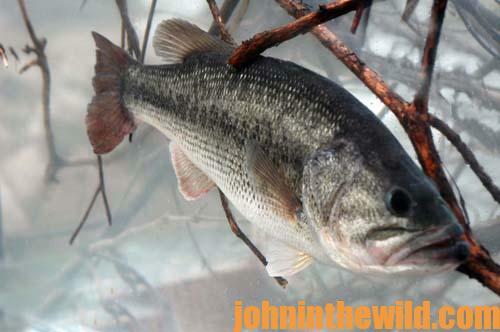 I’ve learned that when I fish a plastic lure, the bass usually will take it before it hits the bottom. 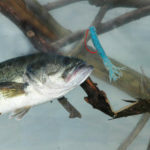 If they’re not biting on a bluebird day or on a bad-weather day, slow down your fishing, and make multiple casts with multiple lures to try to catch the bass that should be on that spot. To learn more about Woo Daves, visit http://woodaves.com/.